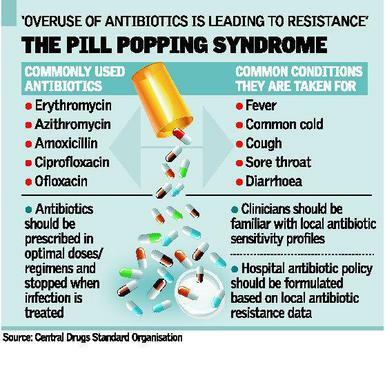 A vast array of antibiotics such as ciproflaxin, enoacin, cetirizine, terbinafine and citalopram have been found in India’s streams, lakes, and well waters, close to pharmaceutical manufacturing facilities. The water is used by many villagers for farming and drinking purposes, heightening worries of long-term consequences to animal and human health. Levels of antibiotics measured in streams, lakes and well water near pharmaceutical factories in India are 100,000 to 1,000,000 times higher than levels measured in waters that receive sewage effluent in the US or China. While comparing the toxic levels in two different countries is not always helpful, these numbers aid in giving an idea of how bad the situation is. Worldwide concerns about pharmaceuticals in water have been on the rise. The drugs contaminate ground water and drinking water. Waste water treatment processes are not efficient in removing the drugs. Research was carried on by Swedish scientists. Well water was collected from 6 villages around Hyderabad, India. Samples were also collected from a waste treatment plant that receives wastewater from 90 different drug manufacturing facilities. High amounts of four antibiotics were measured in the lakes that do not take in wastewater from the sewage plant. The levels of ciprofloxacin (2.5 mg/L) and cetirizine (20 μg/L) in one of the lakes was higher than previously measured levels in the blood of people taking the medications, report the authors. This suggests there are other unknown sources – perhaps illegal dumping – of wastewater responsible for polluting the lakes.